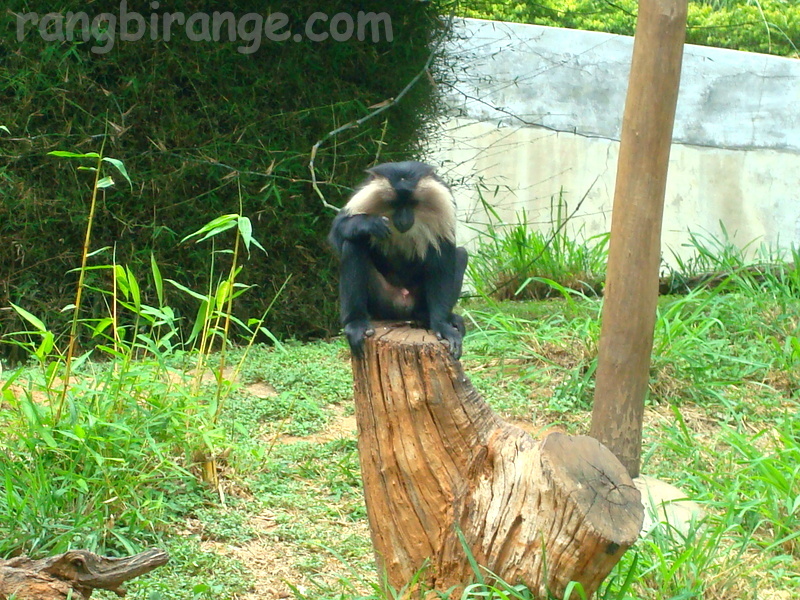 Listed in endangered primates list, this one is from our own Western Ghats of South India. Lion­-tailed Macaque has black hair and face. It eats fruits, insects and nuts. The monkey has a striking mane of silver­white mane which touches its chin which is why it’s also called beard ape. Weighing only up to 10 kg, it is counted among the smaller macaques. Its 25 cm tail has a black tuft at the end, similar to a lion’s tail, from where it gets its name. It’s almost unpardonable as well as ironic that beautiful and wild beings have to be kept in captivity to save them from humans and entertain them too… saw this Lion-tailed Macaque in a city zoo with a campanion.